“Evolution not Revolution”: Dame Ninette de Valois’s Philosophy of Dance” presented at the conference “Ninette de Valois: Adventurous Traditionalist”, Royal Opera House and Royal Ballet School, London, England, April, 2011. 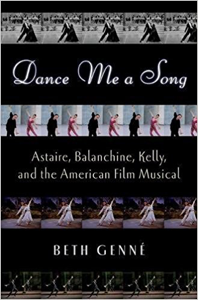 “Love and Limerance: “Euphoria” Dances in the American Film Musical, European Association of Dance Historians Annual Conference, October 19, 2011, London, England. “Collaborating in the Melting Pot: Balanchine, Duke and Gershwin” (co-author Christian Matjias), Sound Moves Conference, University of Surrey, Roehampton, England, November 2005. “Dancing in the Street from Fred Astaire to Michael Jackson”, Society of Dance History Scholars Annual Conference, Temple University, June 21, 2002.